Manchester born Tenor John Findon, began his vocal training at the Royal Conservatoire of Scotland (RCS) where he was taught by Kathleen McKellar Ferguson. In his first year at the RCS, John was involved in an updated world premiere of Prokofiev’s War and Peace playing the part of 3rd Lunatic. Also at the RCS John took part in a performance of Peter Maxwell Davies’ semi-opera Tavener for the composer’s 80th birthday. In his final two years of study in Glasgow John was involved in many of the main stage operas including First Armed Man (cover) in Mozart’s The Magic Flute, and the as Soldato 1 in L’incoronazione di Poppea Monteverdi. John also performed the roles of Bardolfo in Falstaff and Captain of the Guards in Simon Boccanegra (Verdi) in scenes performances. in 2013 John accepted a place at the Guildhall School of Music and Drama (GSMD) on the Masters Programme taught by John Evans. He performed in many GSMD Masters scenes including; Tonio Fille du Regiment (Donizetti), The Duke Rigoletto (Verdi), Monostatos Magic Flute (Mozart) and Prunier La Rondine (Puccini). John has also covered role in Debussy’s L’enfant prodigue, and was involved in a project with Graham Johnson on Schubert’s Winterreise broadcast live on Euro Classical. In the GSMD’s production of The Cunning Peasant (Dvorák), John played the role of Jean and was subsequently offered a place on the GSMD Opera Course. He was generously supported during his Opera Course by Help Musicians UK, The Worshipful Company of Musicians and the Worshipful Compnay of Ironmongers. 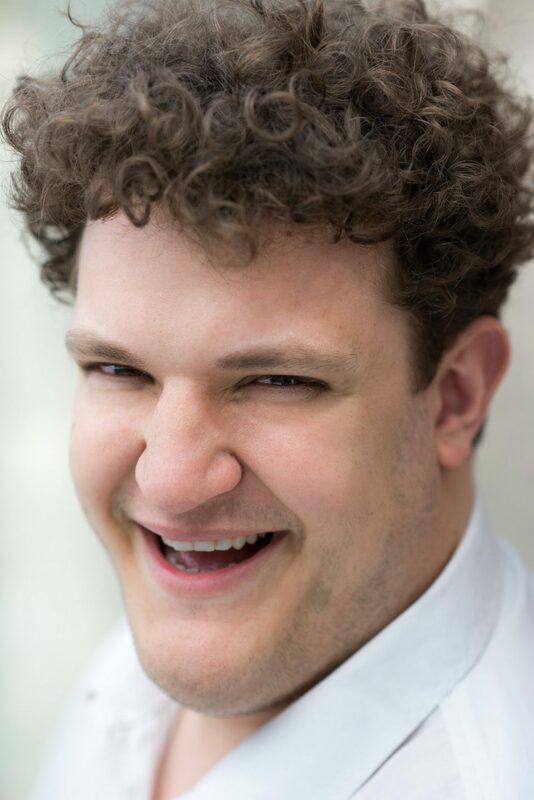 During his first year on the Opera Course John took part in many scenes including; Grimoaldo Rodelinda (Händel), Title role Idomeneo (Mozart), Title role Albert Herring (Britten), Don José Carmen (Bizet), Victorin Die Tote Stadt (Korngold) and the Title role Peter Grimes (Britten). In the main stage productions he played the roles of Leandro in Le Donne curiose (Wolf-Ferrari), Le Veilleur and Oskar in the Martinu double bill of Ariadne/Alexandre Bis and Sir Huon in Weber’s Oberon on the Barbican stage. In his final year at GSMD, John was involved in two main stage productions, firstly as Count Vaudemont and Vassili in the Iolanta/Mavra (Tchaikovsky/Stravinsky) double bill, then in the world premiere of Julian Phillips’ opera The Tale of Januarie in conjunction with the Royal Opera House where John played the title role. Outside GSMD John has performed for many UK Opera companies including; Fife Opera as Alfredo in La Traviata (Verdi), Brent Opera as Nemorino in L’elisir d’amore (Donizetti), English Pocket Opera Company as Don José in their production of Carmen, Grange Park Opera, BYO as Sir Philip in Owen Wingrave (Britten), Opera North covering Lemminkainen Swanhunter by Jonathon Dove, and for the Royal Opera House as cover Apollo and the role of Shepherd 2 in the production of L’Orfeo (Monteverdi) from the Camden Roundhouse. In 2017 John was made a Jerwood Yound Artist at Glyndebourne Festival Opera where he performed the roles of Officer Ariadne auf Naxos (Strauss), cover of Giuseppe La Traviata, and also played the role of Player 2 in Brett Dean’s new award winning opera Hamlet. John was awarded the Miss Miriam Treveux award 2018 for his work at the Glyndebourne 2017 Festival, and is looking for to returning to Glyndebourne this season. John has sung in many solo oratorio performances throughout the UK and Europe, most notably; Messiah (Händel), Christmas Oratorio/Magnificat (Bach), Creation (Haydn), Requiem (Mozart/Verdi), Saint Nicholas (Britten), Dream of Gerontius (Elgar), Messa di Gloria (Puccini) and in 2016 John sang Das Lied von der Erde (Mahler) in the Palau de la Musica Valencia with the Valencia Philharmonic. John’s future plans include covering the role of Major Domo to Faninal Der Rosenkavalier at Glyndebourne Festival Opera, Monostatos Magic Flute at Opera North and cover Sergeant Johnny Strong in ENO’s production of Jack the Ripper in 2019.